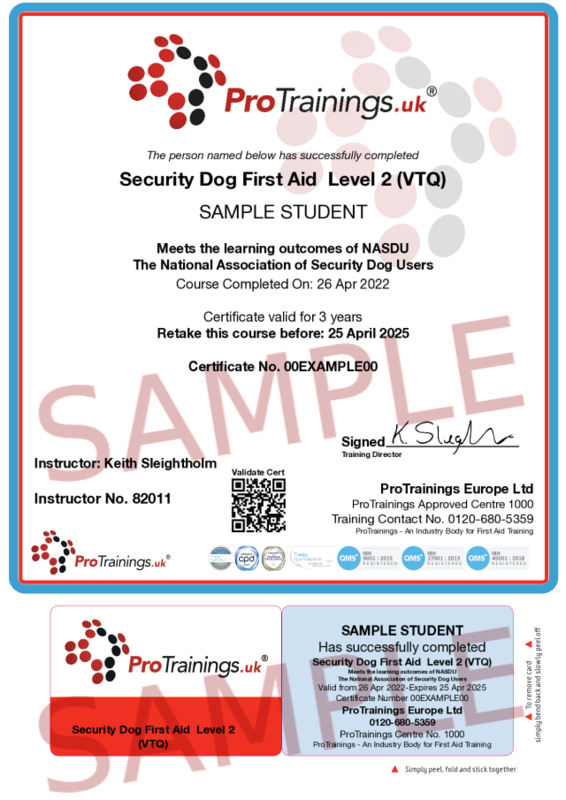 We have designed this course to meet the NASDU learning outcomes and added a few extra modules to ensure full understanding. 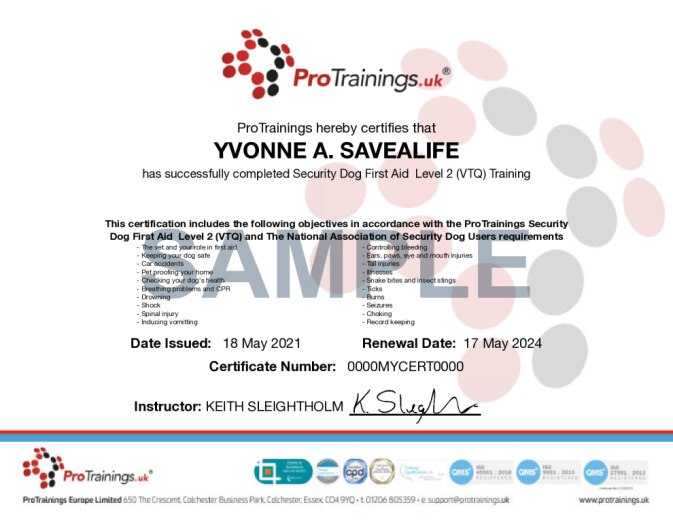 This qualification is also endorsed by TQUK to give an extra level of approval. If you require an endorsed certificate there is an additional small charge. This course comes with 4.0 hrs (7.0 class) of CPD, although the time to complete the course online may be less than this. Total course time includes 3 hours and 36 minutes of video training as well as knowledge reviews, final test, remedial help and reviewing downloaded material. LO2 Explain the actions and precautions to be taken following a dog that has stopped breathing. LO4 Explain the actions to be taken following a dog that is bleeding from a wound. LO5 Explain the signs and symptoms following the ingestion of a harmful substance by a dog and how (and when) to induce vomiting. LO6 Explain the actions to be taken following the ingestion of a foreign body by a dog. LO8 Identify safety equipment which may be of use when dealing with a sick or injured dog. LO9 Demonstrate the fitting of a muzzle and explain its use. LO10 Define the common signs and symptoms of illness and identify their treatment. LO11 Identify the appropriate reports and records required following the administration of first aid.